When December rolls around, I rarely have much time to listen to Christmas music—hell, I haven’t even checked out Bob Dylan’s album, which intrigues me on so many different levels. Too often I’m trying to power through my never-shrinking pile of still-unheard stuff from 2009 as I wrestle with the infuriating task of putting together the customary best-of-the-year lists. (Mine will be coming on this blog in early January.) 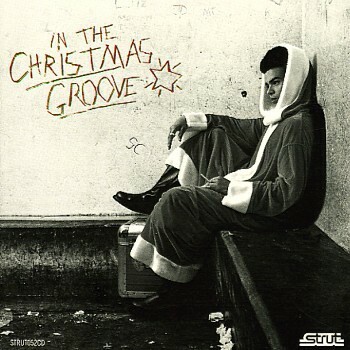 But of the new holiday-themed releases I did get to spend a little time with, I especially enjoyed In the Christmas Groove, a nice collection of seasonal funk from Strut Records. Even the cover is a kick: It’s a fun tweak of James Brown’s In the Jungle Groove. The only artist on the comp I recognized by name was bluesman Jimmy Reed, who’s represented by the surprisingly funky “Christmas Present Blues.” Milly & Silly’s instrumental “Getting Down for Xmas” is a swaggering funk jam made seasonally appropriate with some sleigh bells and a few sly references to popular holiday melodies; the droning, appealingly amateurish “Home on Christmas Day,” by a group from Barbados called Captain Elmo McKenzie & the Roosters, gets over on raw sentiment. Most of the dozen tracks were released only as singles, often as B sides, and honestly if it weren’t for the holiday theme I probably wouldn’t have bothered listening to the whole disc. But I don’t ask as much from Christmas music as I do from my regular listening—I doubt many people do—and when you consider some of the other options out there, In the Christmas Groove looks pretty good.